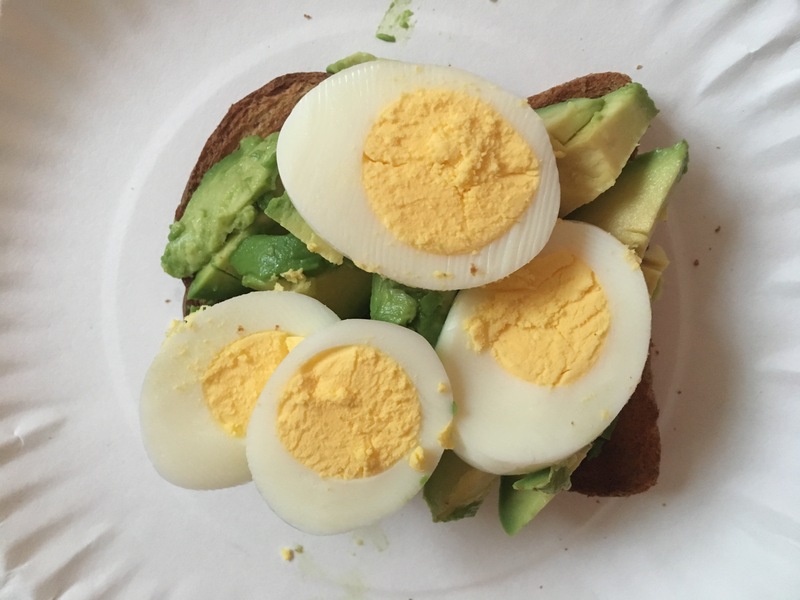 I saw an article where model Rosie Huntington talked about eating toast, avocado, and a hard boiled egg for breakfast, and I decided to try it because it sounded healthy, filling, and I happened to have all of the ingredients at my house. Even though I don’t particularly like to cook, I can make a pretty mean simple breakfast, appetizers, and I’ve been told that I make the world’s greatest salad. So in other words, if it’s not simple, it’s not happening when it comes to cooking. But this one was easy. I just chopped up an avocado and a hard boiled egg, added it to my toast, and enjoyed a delicious breakfast. I made it for my husband, too, and he really seemed to enjoy it. Since there’s a lot of protein, it keeps you really full all morning. My mom actually laughed at me the one time she caught me using these out of the bag, but who has time to boil eggs?